Does my library offer Genealogy Quebec or PRDH access? Genealogy Quebec and the PRDH are available in numerous libraries and genealogical societies throughout Canada and the United States. You will have to contact your local library or society to inquire about Genealogy Quebec and PRDH access. How can I get my local library to carry Genealogy Quebec and the PRDH? Libraries and genealogical societies tend to rely on suggestions and demand when selecting resources to add to their catalog. As such, the best way to have your local institution provide Genealogy Quebec and PRDH access is to ask them to! You can do so by calling or visiting the establishment, and letting the librarian or person in charge know about the websites. Some libraries even allow you to suggest resources through an online form. The development of our Online obituary section continues, and it now contains over 2.2 million death notices! This section contains obituaries from all over Canada ranging from 1999 to this day. You can browse the collection for free at this address. Finally, we would like to invite you to follow the Drouin Institute on Facebook, where we regularly share unusual and interesting genealogical and historical findings, such as the cost of groceries in 1927 in Saint-Jérome, or Richard Burton and Elizabeth Taylor’s marriage in Montreal! 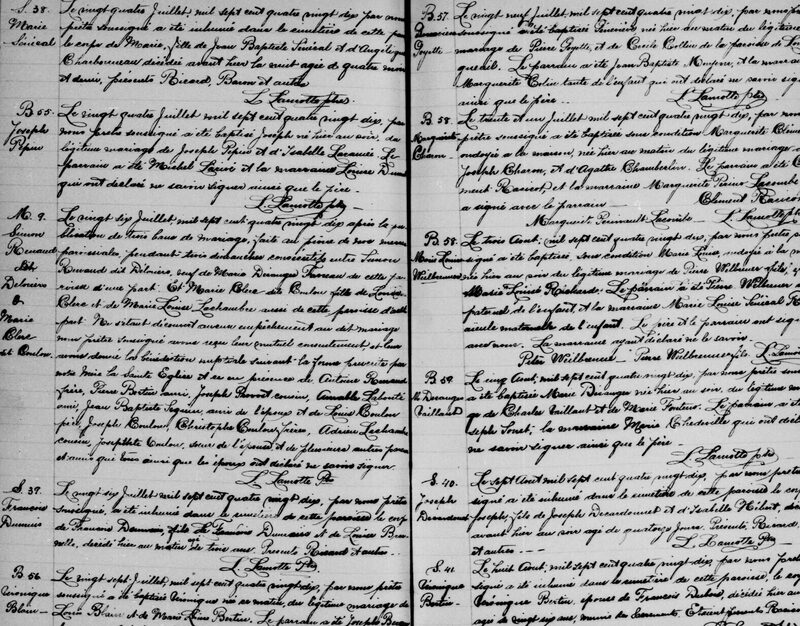 Previous PostPrevious LAFRANCE Update And Addition of 30 000 Newspaper Obituaries on Genealogy Quebec!